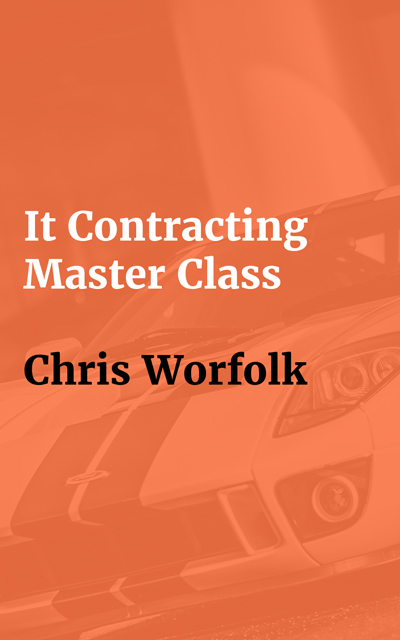 My course, the IT Contracting Master Class, is now available in book form. Should you buy it? Probably not. It’s slightly cheaper than the course. Except that Udemy is usually discounting the course, making the book more expensive. But, if you really hate the idea of getting the video lectures (which includes the eBook version of this book), you can buy the book stand alone on Amazon. Do people read long-form content? This entry was posted on Saturday, November 4th, 2017 at 11:00 am and is filed under Books, News. You can follow any responses to this entry through the RSS 2.0 feed. Both comments and pings are currently closed.